This article is about a mental factor in Buddhism. For the town in Guam, see Piti, Guam. For the soup, see Piti (food). For the Spanish footballer, see Francisco Medina Luna. Pīti in Pali (Sanskrit: Prīti) is a mental factor (Pali:cetasika, Sanskrit: chaitasika) associated with the concentrative absorption (Sanskrit: dhyana; Pali: jhana) of Buddhist meditation. Piti is a very specific joy associated with a state of deep tranquillity. It is often translated with the English words "joy" or "rapture" and is distinguished from the longer-lasting meditative "pleasure" or "happiness" (Pali, Sanskrit: sukha) that arises along with pīti. Weak rapture only causes piloerection. Short rapture evocates some thunder "from time to time". Going down rapture explodes inside the body, like waves. Exalting rapture "makes the body jump to the sky". Fulfilling rapture seems to be a huge flood of a mountain stream. Note only the last two are considered specifically piti. The first four are just a preparation for the last one, which is the jhanic factor. ↑ See, for instance, Samādhaṅga Sutta (a/k/a, Pañcaṅgikasamādhi Sutta, AN 5.28) (Thanissaro, 1997). ↑ Vsm. IV, 100 (Ñāṇamoli, 1999, p. 142). Similarly, see also the Abhidhamma's commentary, Atthasalini (Bodhi, 1980). ↑ Vsm. IV, 94-99 (Ñāṇamoli, 1999, pp. 141-2). Bodhi, Bhikkhu (1980). 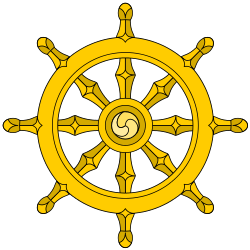 Transcendental Dependent Arising: A Translation and Exposition of the Upanisa Sutta (Wheel No. 277/278). Kandy: Buddhist Publication Society. Retrieved 2008-05-08 from "Access to Insight" (1995) at http://www.accesstoinsight.org/lib/authors/bodhi/wheel277.html. Ñāṇamoli, Bhikkhu (trans.) (1999). The Path of Purification: Visuddhimagga. Seattle, WA: BPS Pariyatti Editions. ISBN 1-928706-00-2. Thanissaro Bhikkhu (trans.) (1997). Samadhanga Sutta: The Factors of Concentration (AN 5.28). Retrieved 2008-05-09 from "Access to Insight" at http://www.accesstoinsight.org/tipitaka/an/an05/an05.028.than.html.